The word fortnight refers to the competition that is relayed around the world by television and radio, famed for tennis, strawberries and Pimm’s – (that’s the drink traditionally served with what looks like a sliced fruit salad in a glass.) But for the Wimbledon staff, the “fortnight” is actually a year long job. 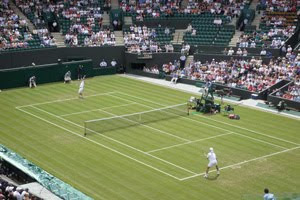 Wimbledon attracts the world’s best players and they rightfully demand the best apparatus. One thing that the players don’t have to provide is the tennis balls used throughout the competition. 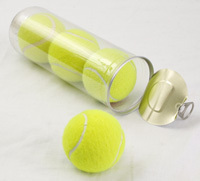 To make sure that everything is scrupulously fair, the thousands of balls used must all conform to standards laid down by the International Tennis Federation (ITF). The ITF specifications make sure that the performance of the ball is consistent when it is played for the first time, and will retain its specification for a minimum time during the match. OK, but how do you measure anything as the ball whizzes over the net at more than 150 mph (240 kph)? Well, the answer is you have to do the measurements in a controlled way and that means in the lab rather than on court. In non-technical terms, to simulate being hit by the racket, you see how much force is needed to squash the ball by a set amount. Then because a ball is, well, ball-shaped, you turn it around by 90 degrees and squash it again. And again after a second 90 degree rotation. You now have measurements on three different axes, and the ITF gives “pass” and “fail” criteria for these measurements. 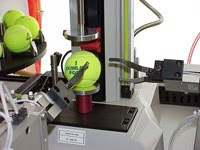 If you are a manufacturer of tennis balls, and you want to mark them with the ITF logo, then you will need to have them tested by the ITF – no one else can do it. They will test a sample of you production on a specially adapted Mecmesin test stand. This is fully automated with a pneumatically operated gripper to do the ball turning and placing. And scragging? That’s the process of ‘warming-up’ the ball before the test starts to make it more realistic. It’s a bit like ‘knocking-up’ before the match starts. 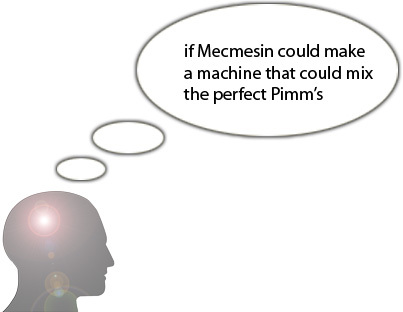 Now, if Mecmesin could make a machine that could mix the perfect Pimm's they could really be onto something. 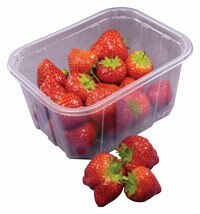 As it happens, they do have a range of test systems specifically designed for food testing. So, not only can they measure tennis balls, they can also measure ripeness to identify the perfect strawberry. For more details of automated force testing equipment contact Mecmesin +44 (0) 1403799979.